Within the Hebrew Roots community of believers there is an abundance of discussion, argument and even division over the correct pronunciation of God’s Name. It is not the intention of this article to add to that dissention. Nor will I attempt to put to an end all discussion because there are scholars who are sincerely convinced they have discovered the ‘answer’ to the name of our Creator. It is a sad fact that, because they do not agree with each other’s conclusions, there is much division. Suffice to say that our Creator does indeed have a Name that appears almost 7,000 times in the Scriptures. It is the name above all names. In Hebrew it is spelled Yod Hey Vav Hey (YHVH). It is how we treat that Name that is the focus of this article. I agree with author, Karaite and Hebrew scholar, Nehemia Gordon, who concludes that the correct pronunciation of His Name is probably YeHoVaH, but there is no definitive way to prove if our understanding on how to vocalize the Name is absolutely correct. (After all, there was no tape recorder at the burning bush.) In the meantime, we do the best we can and trust in His grace that if our ‘accent’ is off, He will understand and forgive us for being imprecise. This would be a short article if that is all I wanted to say about the name, YHVH. Instead I want to point to the third commandment that admonishes us to Not Take the Name of YHVH in vain. I am going to share a study of this commandment that I wrote last year. I made a study of the Ten Words (Ten Commandments) by looking at each of the commandments in the context of the Hebrew Aleph-Bet. 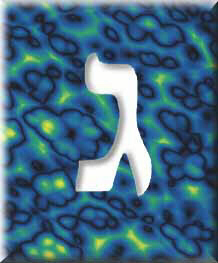 Hebrew letters denote both letters and numbers, and also carry pictographic meanings. The related symbols and the numeric significance of each commandment yielded some interesting perspectives. This is an edited version of the Chapter called GIMMEL. The third Hebrew letter is GIMMEL, a camel, a water-bearer, a foot; it means to Lift Up or to Walk. Three symbolizes the Godhead, but it is also associated with the third of the Feasts (the Feast of First Fruits). What is significant about the First Fruits? Didn’t Yeshua carry out a fulfillment of the First Fruits after his resurrection? How does that relate to us? Might we hope that those who lift up His Name, or Walk With His Name, will be included in the First Fruits Feast to come? What about the water-carrier? A camel carried water! (In one way, the camel stores up water to sustain it long after other creatures would die of thirst, but I digress.) What do we know about Water? Water is a symbol of the WORD. Perhaps the third commandment has something to do with how we walk in His Word. As you may see, there are many paths to study related to this one commandment alone! The plain text says ‘Do not take my name in vain.” Perhaps this means more than an admonition to refrain from saying the Name in a casual or blasphemous manner. Camels are used in the scriptures as a symbol for Commandments. From this we might extrapolate that His commandments Lift Him Up. It used to be a lot more common to want to protect one’s reputation. Unseemly behavior would get a young woman (or man) a ‘reputation.’ It was possible to bring shame and condemnation to yourself and your family! In the days before the current anything-goes, be tolerant-of-any-behavior, do-not-judge society, a good reputation was to be guarded and cherished! There are even laws on the books to prevent slander and libel! Obviously, your name is associated with your reputation! Why would we think our Father’s Name is any different? Long before man’s law, YHVH said if you take my name (identify that I am your Lord and Savior) DO NOT cause shame to be placed upon MY NAME. Remain faithful and keep your vows. Everything you do or say reflects on Me and My reputation! We have an opportunity to bring shame or praise to the Name of our Father! What a responsibility! Aside from the obvious shadow-picture of the crucifixion in the above verses, there are practical lessons to be gleaned here too. What do we do to ‘lift up’ His name? Is it just evangelizing the lost? Is it only prayer or praise? Obviously, using His Name in a profane or casual manner does nothing to lift up or ‘draw’ anyone. It also means: If you are called by My Name: represent Me and My commandments. Do not tarnish My reputation! His commandments ARE His Reputation; His Commandments Lift Him Up. If we accept Him (take His Name), we should not do it lightly (in vain), but in the fear and respect due to the One who holds the Power of Life and Death, and walk accordingly. When we ‘take’ His name, we are saying that we are calling him LORD; the Head of our house. Maybe this is why marriage vows include the Bride promising to ‘obey’ her husband, and the bride traditionally takes the surname of her husband. Marriage is supposed to be a type and shadow of our relationship with our Father in heaven. I can’t help but note that we have been watering down the marriage covenant with the result that we no longer think of obedience or accepting another’s name as important. Doesn’t that make it easier to think it isn’t important to YHVH either? When we call ourselves ‘Christians’ or ‘Believers in the Messiah’ or the like, we take His Name; we identify ourselves with Him. When we call him LORD we say He is our Master, and our King. Therefore, since He is the head of our house, we should obey His instructions. Wouldn’t it be taking his Name in vain if we fail to understand that He is our King? How, then, do we demonstrate that He is the Head of the Family? Even Moses dared to remind the Father that His actions reflect upon His Name and Reputation! And YHVH said to Moses, “I have seen this people, and behold, it is a stiff-necked people. But Moses implored YHVH his God and said, “Oh YHVH, why does your wrath burn hot against your people, whom you have brought out of the land of Egypt with great power and with a mighty hand? Aren’t you glad that our Father is a Keeper of His Word? Even in righteous anger, our Father would not allow His own actions to tarnish His Name! Shouldn’t we do likewise when we take his name and call him LORD? Our Father reminded us again to keep all the commandments. Can you identify which ones He mentions specifically? What does it mean to be hallowed? It is a word that probably needs clarification. This says that He is Holy and is to be called and recognized as Holy, just as He declared His people to be Holy. He declared His people to be holy by giving them His standards of conduct! Anything less than Torah observance diminishes all of the qualities that allow us to ‘know’ YHVH. Not only that, but our behavior (walking as He walked) identifies us to others as His people! Obedience to His Torah allows us to both Know and be Known! The Torah is His heart! And when we allow His Heart to be written on our own we become Sons of YHVH! How are we to be holy? Holy is a synonym for set-apart. It makes me think of the dishes I bring out for Shabbat. They are not every-day dishes, but special ones that are reserved (set-apart) for a special day. They are set aside from a common use. Shouldn’t the Name of our Father be set-apart and not be used in a common or disrespectful way? Shouldn’t our conduct be likewise set-apart from the common? We know that our Father has a Name. How we pronounce it, while certainly important, is not as critical as how we ‘wear’ that Name when we accept Him as our Father. That is the deeper meaning behind the third commandment to Not Take His Name in Vain. The Proverbs tell us that the fear of the LORD is the beginning of wisdom. How dare we diminish His sovereignty by treating His Name in a casual manner? We must learn to Lift UP His Name, by everything we do and everything we say. I dare to say it would be better to ignore Him completely than to treat as common or ordinary the Name and Reputation of the One we claim to serve. Lift up His Name, the King of Glory! This is the generation that seeks him. Those who seek your face are the true seed of Jacob. Lift up your heads, gates! Be lifted up, ancient doors, so the King of Glory may come in. Who is the King of Glory? YHVH strong and mighty, YHVH, mighty in battle. this is so awesome.. a great word.. Yahweh gave me this revelation earlier this past summer. if course this is more detailed but its right on what I wrote.. thank you for giving it more meaning.. a great word..shabbat shalom brother Kenny.